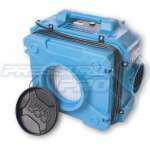 Air scrubbers are very important in restoration the industry as workers are frequently exposed to harmful substances. 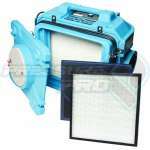 Air scrubbers are machines that removes particles, gases, or chemicals from the air in a specific area. Air scrubbers range dramatically in capabilities, functions, and filters, but they all perform the general task of removing harmful substances from the workplace.